Las Vegas’ most culturally rich area sits just a mile west of the Strip. Chinatown features just about every kind of Asian cuisine imaginable, from Sichuan dishes from China and pho and vermicelli noodles from Vietnam to Taiwanese desserts, Korean barbecue, and a wide variety of Japanese dishes spanning sushi, robata, ramen, and more. 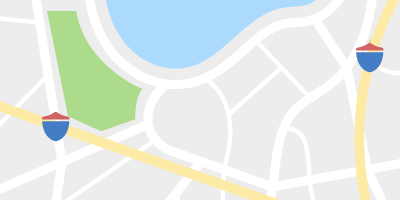 Chinatown stretches about three miles along Spring Mountain Road from Rainbow Boulevard east to Valley View Boulevard. 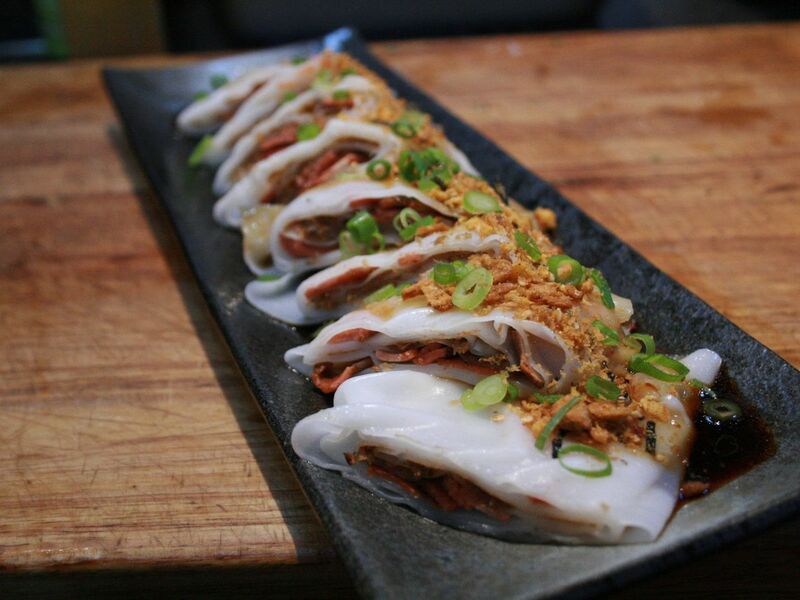 Here, a look at some of the best Asian restaurants in Chinatown. For all the latest Vegas dining intel, subscribe to Eater Vegas’s newsletter. Colin Fukunaga’s Japanese-inspired burgers are served at a sleek counter-serve spot. 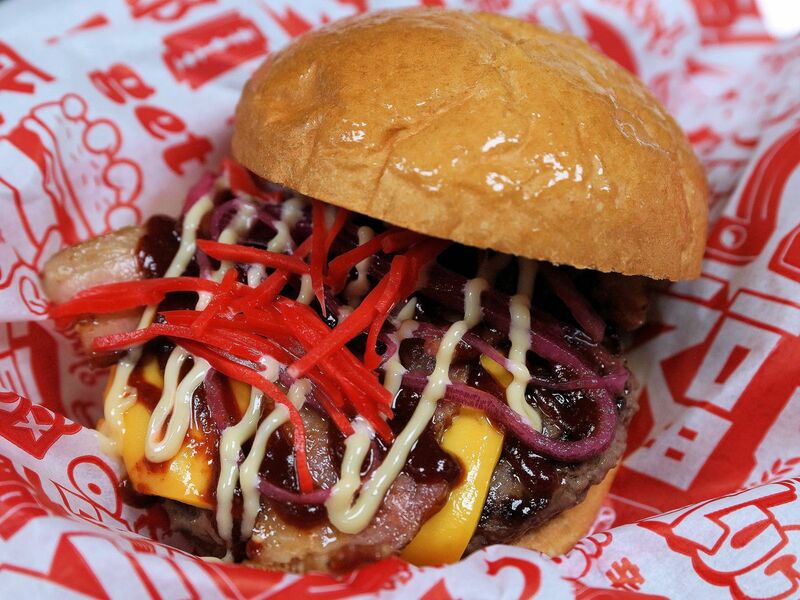 Visitors should try the namesake FukuBurger aka the “Lucky” burger with an all-beef patty with American cheese topped with lettuce, tomato, onions, wasabi mayo, and fuku sauce. 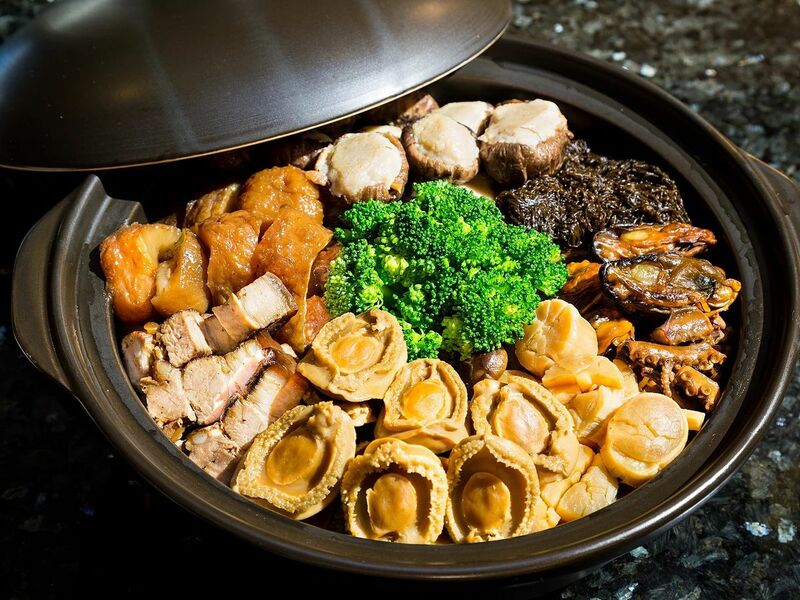 Diners can build-their-own Chinese hot pots delivered via conveyor belts. District One takes its name from Saigon (Ho Chi Minh City), which is separated into 12 districts and District One is the epicenter. Find pho oxtail, pho tai nam with rib-eye steak, pho bo vien with beef balls, pho ga with chicken, pho tom with shrimp, and the decadent live whole Maine lobster pho, going for market price. Hobak likes to concentrate on few menu items, serving only beef and pork on the edge of Chinatown. Working under the motto, “sharing great things,” the restaurant encourages groups to enjoy the charcoal and gas cooking experience with meats such as skirt steak and short ribs. Pork belly, jowl, or neck combo options are also available, plus side dishes such as noodle hash, beef garlic chive, and anchovy noodle soup. Chef Khai Vu is back at it again, this time opening a wine bar with a menu of Spanish and Latin dishes with a Japanese influence. Mordeo, Latin for bite, features a menu of small bites, meat and cheese boards, ceviches, sharable dishes, salads, and desserts. 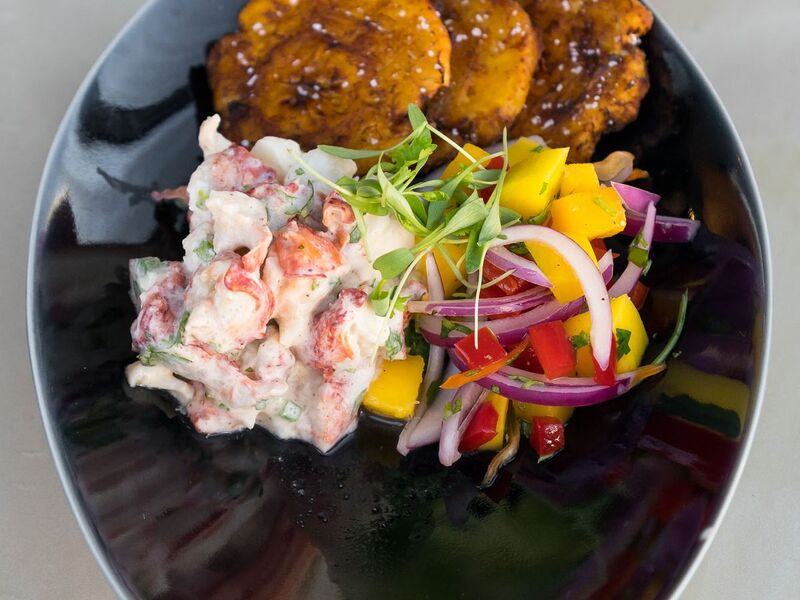 Diners can dive into grouper, lomi lomi ocean trout, shrimp, and Maine lobster ceviche options, or share a marinated lamb rack, aside steak, clams and mussels with chorizo, or maple soy taco with grilled octopus. Pho takes center stage at Viet Noodle Bar. Brisket, flank, fatty flank, tripe, tendon, or rare steak top the beef noodle soups. 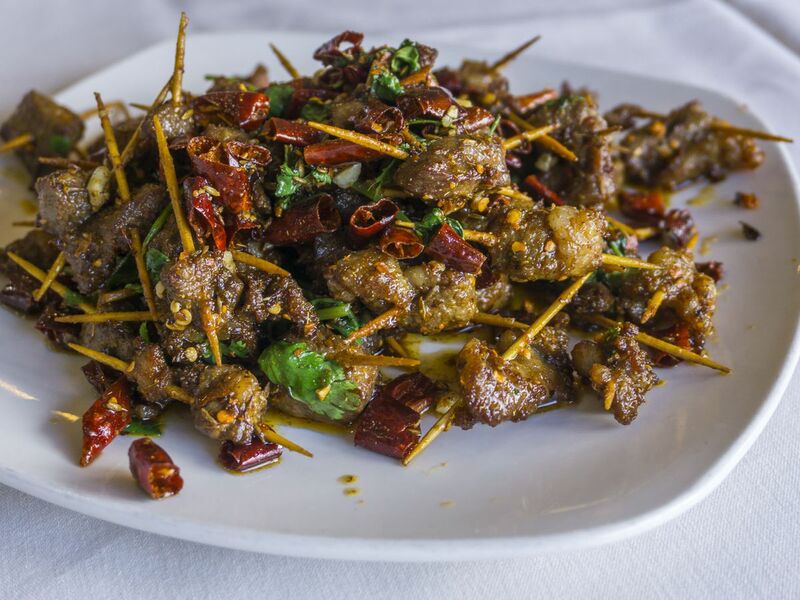 Sichuan cuisine with a kick of heat make the menu at this Chinese restaurant that stays open until 11 p.m. The sister restaurant to Raku from påtissière Mio Ogasawara serves a rotating selection of desserts that includes a three-course tasting with an apertif, appetizer and the main course. This tiny restaurant with a sparse decor features fresh catch from Tokyo Bay. Go for omakase dishes from $48 to $120 where the chef picks the best fish of the day and serves them in courses. Japanese and Italian cuisines come together at Trattoria Nakamura-Ya. Favorites include uni tomato cream with linguini, squid ink “ikasumi” spaghetti, and New Zealand Angus rib-eye steak. Every chef in town stops by Mitsuo Endo’s tiny restaurant in Chinatown that serves up Japanese robata dishes, small portions cooked over a charcoal grill. Diners can order a variety of dishes since most start at $3, or try the omakase with a variety of dishes chosen by the chef for $75 to $100. Reservations in advance are a must. 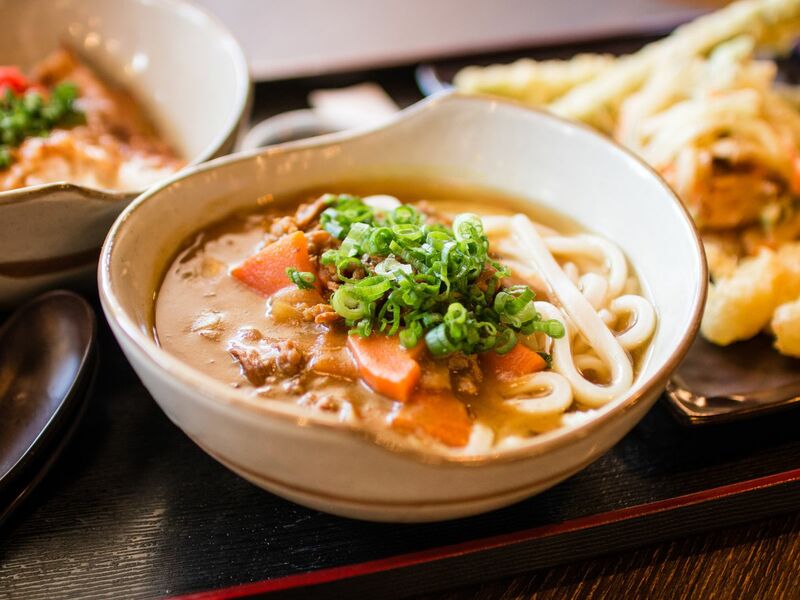 Japanese udon noodles are the main feature at Cafe Sanuki. Beef, miso garlic pork belly, chicken and egg, and curry rice, along with clam udon, eight to 10 types of tempura, rice rolls in six styles, and oden, a Japanese hot pot, all make the menu. Perfect for adventurous diners or fans of spicy dishes, YasikNara’s Korean specialties include beef tartare, smoked duck, and the popular import, seasoned chicken feet. 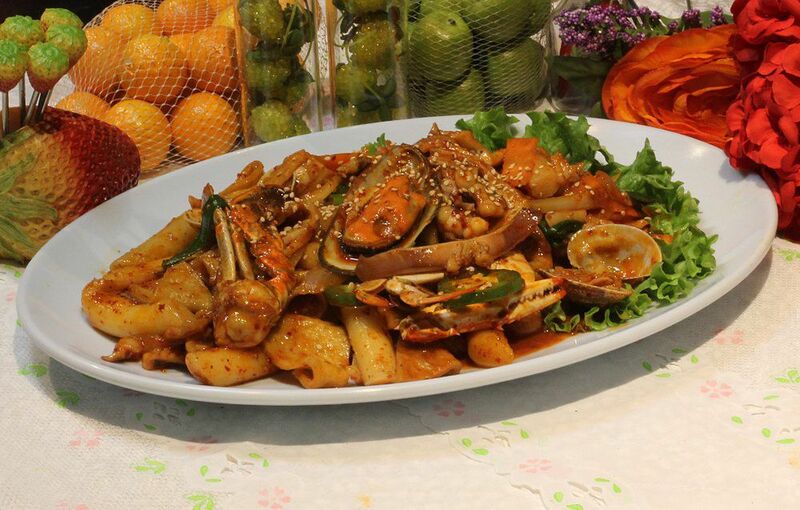 Also on the menu, pasta dishes such as a kimchi option, the seasoned pork hock, spicy seas snails, seafood soups, and the stir-fried pork belly and squid. The restaurant also imported a collection of Korean beverages, including Baekseju and Bokbunjajoo wine. Traditional Chinese dishes are the calling cards of this stalwart in Chinatown. Joyful House features Peking duck, hot pot rice, abalone in a clay pot, roasted Mandarin pork chop, crispy seafood noodle, and more. 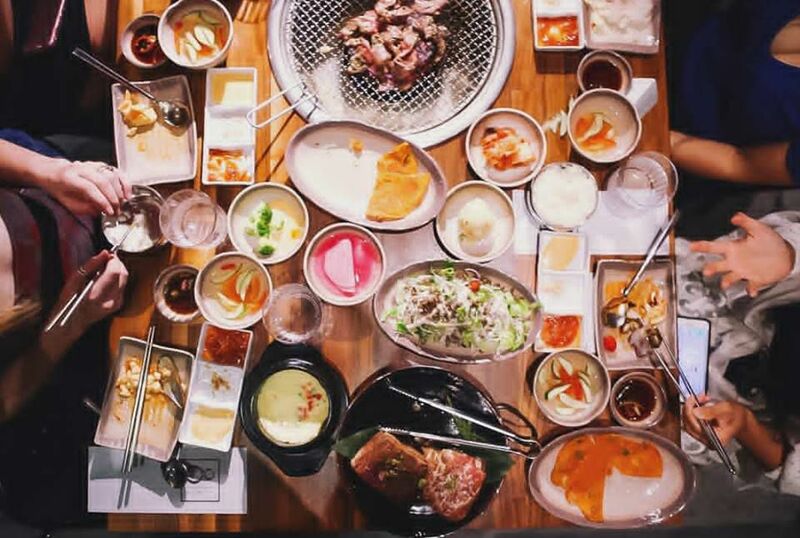 This Korean barbecue features choices for small or large groups, with proteins such as beef and pork combos, plus chicken and seafood options, including a $12 small spicy octopus or the $20 lobster. The namesake eight ounce combos include $55 and $105 sets, featuring items such as beef belly, marinated short rib, grilled marinated pork bulgogi, and pork jowl. 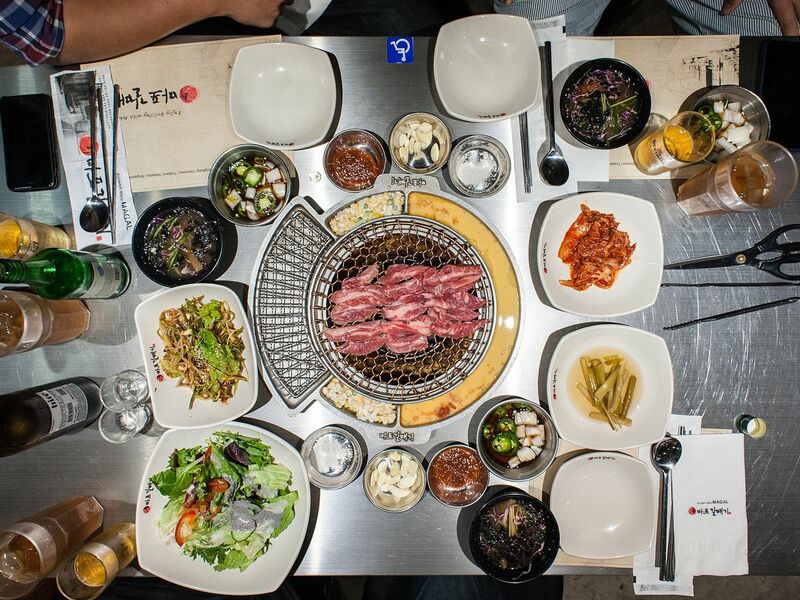 The Korean word “Gari” means “galbi” or beef short ribs while “onban” means a warm meal. 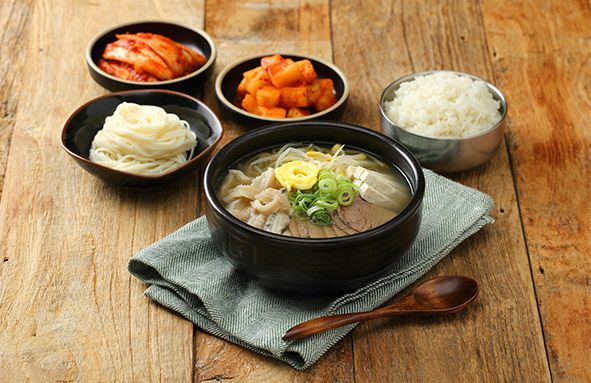 This Korean restaurant specializes in gukbap, a soup with rice generally served in a hot pot. 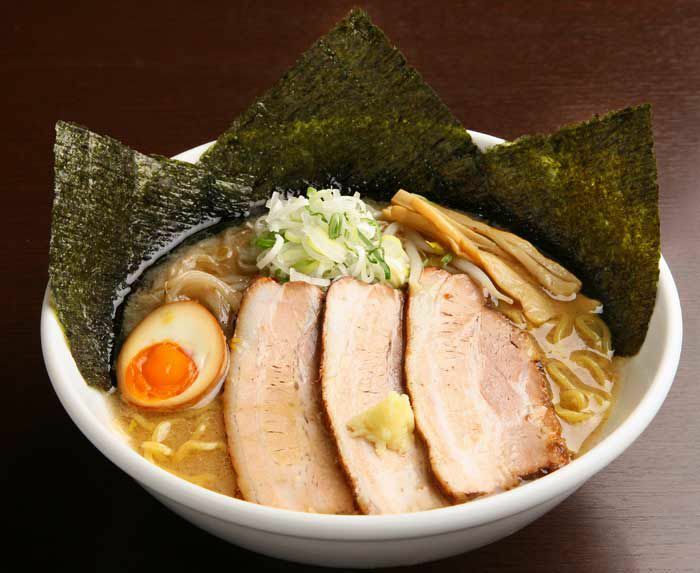 Sora’s miso ramen features a broth that combines miso with oily pork broth to create a thick, nutty, slightly sweet and very hearty soup. One of the most amazing sushi experiences in Chinatown starts here at Yui Edomae. 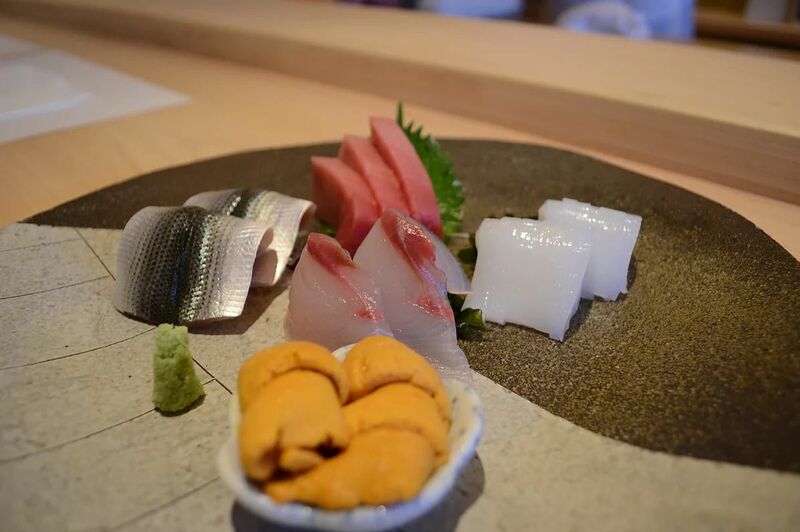 The edomae, which refers to the many delicacies are caught in Tokyo Bay, sushi restaurant from Gen Mizoguchi features sophisticated, high-end sushi highlighting fresh fish flown in from Japan served in a basic setting. Chef Tony Xu’s Mian is built around a menu of zhajiangmian-style noodles, found in the Chinese city of Chongqing and located 167 miles from Chengdu, the source for his earlier great success, Chengdu Taste. Bold flavors and in many cases, a very spicy experience, highlight the menus that includes black fungus, steamed egg, minced pork, beef in chili sauce. Special gizzard, beef pickled noodles, spare ribs, and piquant intestine are some of the favorites, while add-ons include fried eggs, beef, intestine, bawan bean, and spare ribs. Traditional Japanese small plates make the menu of the original izakaya in Chinatown. Shrimp and chive dumpling cakes, shumai, and kimchi gyoza make the small plates, while bowls of adobo, mapo tofu, and noodle soup are meant to be shared. 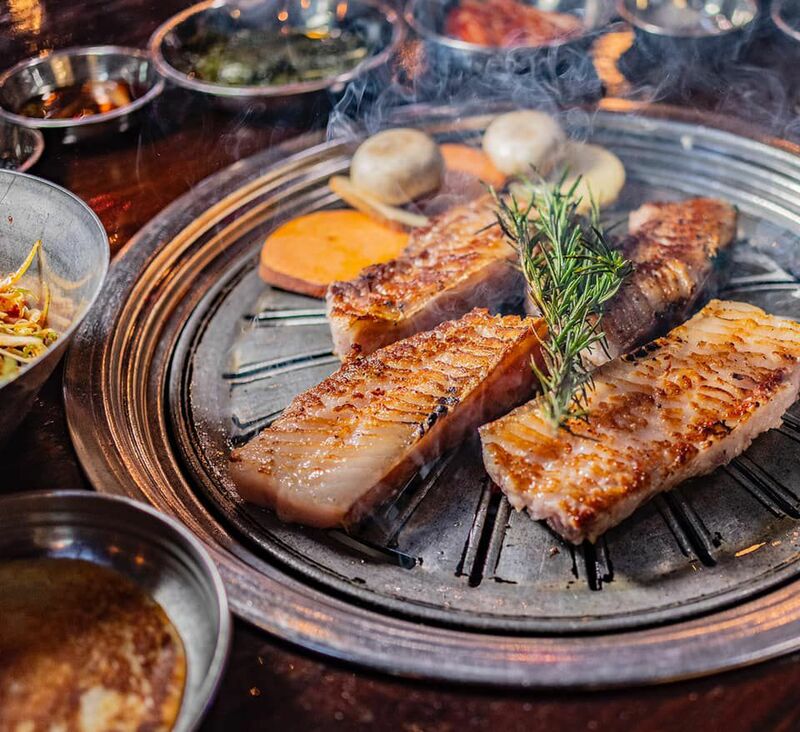 This Korean barbecue lets diners choose their proteins, such as pork belly, boneless short rib, or rib-eye steak, that servers cook at the table. Sides include bean sprout salad, pickled daikon, shiitake mushrooms, and more. 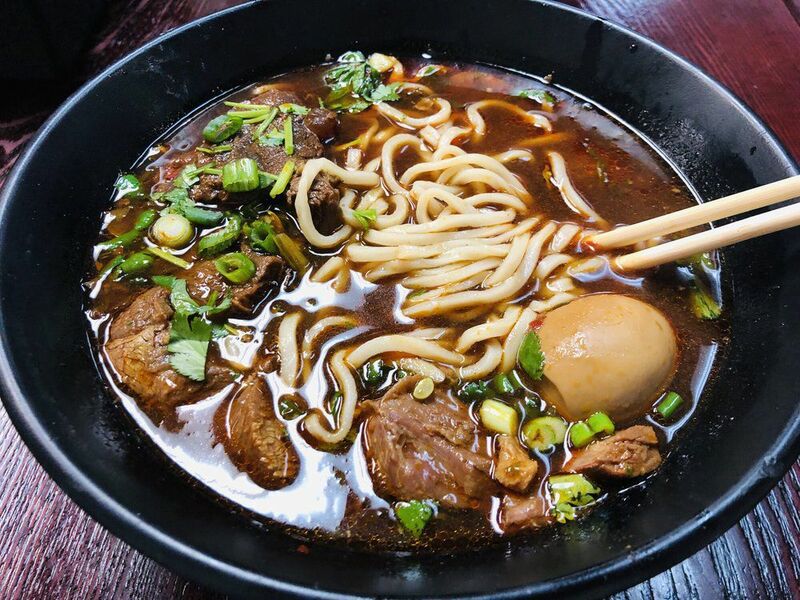 Savory noodle soups are the specialty of this Chinese cafe, so go for the beef noodle soup. Rolls and dumplings also make the menu. 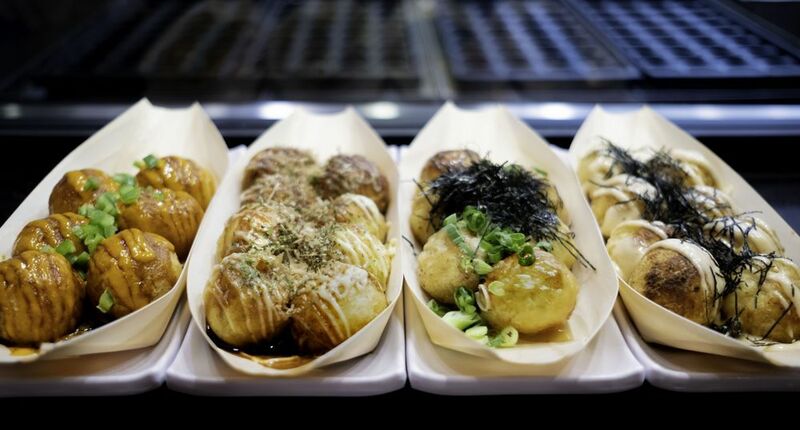 Japanese street fare finds a home at Takopa, The restaurant marks the first traditional takoyaki restaurant in Las Vegas with a menu of octopus balls in original, spicy, with a spicy cod roe, or with green onions and homemade dashi sauce for less than $10. Diners can order a four- or 16-piece sampler. Open 24 hours? Check. Inexpensive? Check. Pho Kim Long satisfies every Vietnamese craving around the clock with dishes such as charbroiled pork and egg roll with vermicelli, pho, and spring rolls. 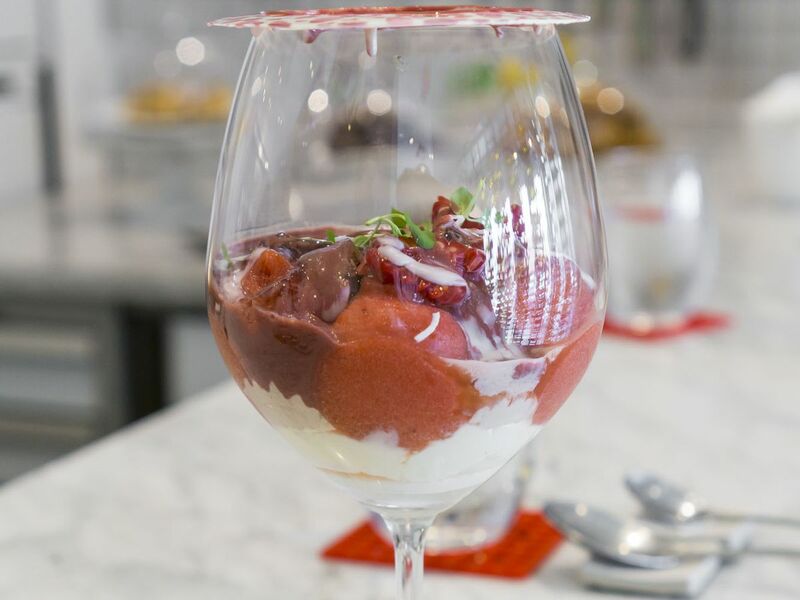 A taste of Taiwanese desserts makes the menu at Meet Fresh. The desserts come at the hands of “Brother and Sister Fu,” who grew up in the Feng Yuan District of Taichung, Taiwan. 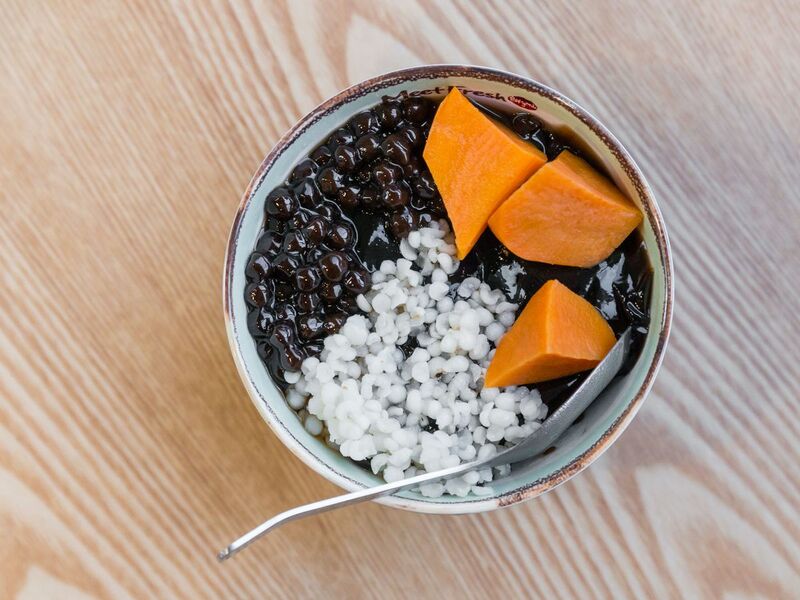 They stick to tradition with taro ball desserts, soft herbal jelly, a tofu pudding, shaved ice, herbal jellies, and more. Hot almond soups come in bowls and cups for $4.50 to $6.80, the typical range of prices here. Sichuan lovers head to this little Chinese restaurant in a strip mall in Chinatown for great service and dishes such a spicy fish stew, volcano beef, and mountain yam from founder Tony Xu and his business partner Sean Xie. Diners should expect a wait to get in. Satisfy a Vietnamese craving at Pho Bosa. Classic dishes such as broken rice and spring rolls make the menu. Dine on Japanese pub plates and skewers in a hip setting that stays open until 3 a.m. A favorite? 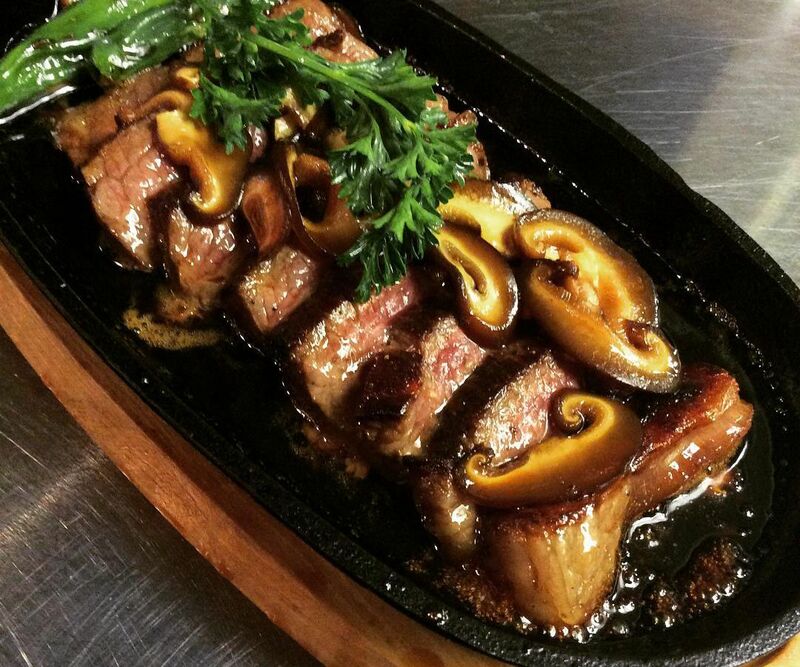 Australian wagyu strip loin steak with sautéed shiitake mushrooms and shishito peppers, sushi rolls such as the fresh halibut, uni pasta, and deep-fried softshell crab. Link copied to the clipboard.